← When is too much a bad thing? The journey of life can be amazing at times and if one is fortunate can be filled with many choices and ups and downs. One should not forget that hitting a low is an opportunity to grow. Most of us are students of the school of Hard Knox and those of us with children need to let them attend because these are some of the most valuable lessons and they are often not easily forgotten. This advice is not new but many of us could use a reminder as we get caught up in our journey and may loose sight of some of the things most important. On this journey one will come to major forks in the road. Some of these choices may change ones life. They may be easy decisions or may cause one to sit there and dwell for awhile. 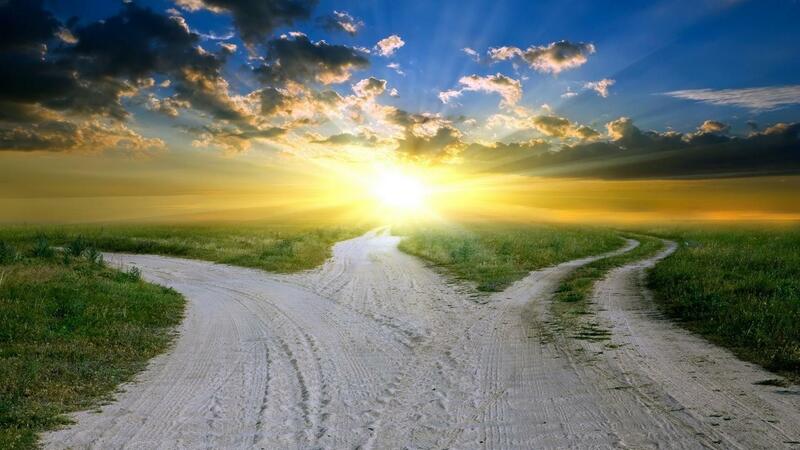 The fear of change or choosing the right path can sometimes be very difficult or even paralysing. One must push beyond this to be able to grow and achieve ones goals or dreams. Don’t be afraid or ashamed to ask for help or company along the way. The paths well travelled are often easier and quicker but may offer less lessons and rewards than the ones less travelled. Some people come to a fork in this road where they do not like any path and some are strong and have the courage to make a whole new path. People that do this will often hit more obstacles then those taking a path well travelled and with this risk can come failure or success but either way they often come out stronger or better off in one way or another. Sometimes it takes several tries to make a new path. These choices can sometimes be scary but can also be inspiring and rewarding. I have a few hard working friends and family in different places that are trying to reduce their impact on the environment by being off the energy and infrastructure grids or well on their way there. I know and been to see a very adventurous and capable man who with the help of only a few is part way through building a ship in NZ to sail to Antarctica. I know a proud 16 yr old young man in my family that beat the odds with hard work and drive and didn’t let his height, age or what others said he couldn’t do stand in the way of his dreams of playing in the WHL and one day in the NHL. I know an amazing women who conquered her fear of the unknown and of financial uncertainty and is taking a risk and changing careers after many years to do something she loves. I know many others that have or are doing what it takes to achieve their dreams or what is important to them and not letting obstacles stand in their way. I admire them for believing in something so strongly and having their actions speak louder than their words. For challenging fear and the unknown and running with it. These people inspire me to follow my own dreams and conquer the challenges I see. Sometimes you will meet someone that you know for a short time or a long time and they help change and enrich your life. I have been fortunate to meet several people like this. One thing that is almost certain is you have to put yourself out there to meet people like this. Don’t judge people by their cover as it often takes a while to get to know someone properly. Be true to yourself, don’t be afraid to let others get to know you, be patient and you will often be rewarded. However we go through this journey we must make the time to slow down and enjoy it because before you know it, it could be over. If you normally drive, try riding a bike or taking a walk or the bus if you can or do something outside your comfort zone. It is amazing what you see when you slow down or what can happen if you push yourself outside your comfort zone. I have had many “Times of my life” and will continue to have more. Are we ever really too old for these? As we grow older we can still make these happen. They may just be in different forms than when we were younger but can be just as important. I have recently taken a page out of my past and from my wife, kids and several friends present and started to listen to more music and less talk radio and news. I had forgotten how good music can make you feel if you give it a chance, let it in and how inspiring it can be. Sometimes you have to stop and listen to the words and you will hear the song in a whole new way. Speaking of journeys, here is some of mine. slept in a rental car as well as my own car, my truck, on a ship, train, plane and more. moved somewhere new and chased after someone I barely knew. I was fortunate to have parents, step parents and many family and friends that worked hard and liked to travel. I spent many summers and holidays camping on road trips in Canada or the US and several trips to Mexico. I continued this as a young adult and with my own family and friends including traveling and living overseas. I have lived in the country, in 5 Cities, on a large island, 2 continents and have visited at least 18 Countries, 9 Canadian Provinces, 22 US states, and more cities and towns than I can remember. – Hike down or raft down the Grand Canyon. – Build and live in a log cabin in the mountains. – Fishing at Haida Gwaii / Queen Charlotte Islands. – Surfing and Snow Boarding in the same day. – Travel across Western Canada to the Yukon and Alaska via the Alaskan marine highway. Feel free to share this and I hope it can inspire others to share their journey and any lessons they learned along the way as well as follow their dreams whether they are big or small. Road Trip to Glen Canyon, Grand Canyon (north rim), Vegas and my 2nd trip to Yellow Stone NP including a hike down into the Grand Canyon (4.5 hrs down, stay night and 8 hrs out), requires being well prepared including permit in advance to say the night. or as a last resort fly to Vegas, drive to the Grand Canyon and hike it as mentioned above. I have some friends and family that showed interest in this one. This entry was posted in Health and wellness and tagged Inspiration, Journey of life. Bookmark the permalink.